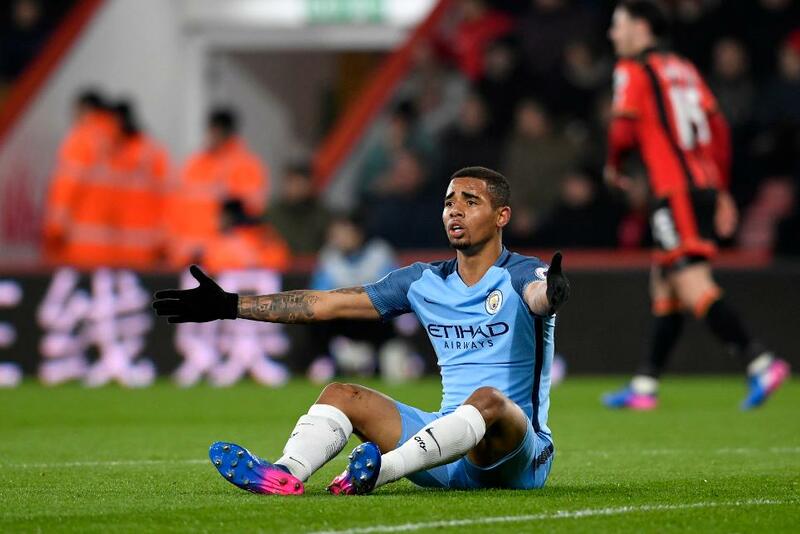 Manchester City have confirmed that striker Gabriel Jesus (£9.3m) has sustained a fractured metatarsal, with Fantasy Premier League managers now eagerly awaiting news of his likely period of absence. Jesus went into Monday night's encounter with AFC Bournemouth as the most popular FPL signing among forwards for a second successive Gameweek. Following his burst of three goals and an assist over his two starts, Jesus had found his way into more than 400,000 squads since Gameweek 24. But a foot injury cut short Monday's outing at Vitality Stadium to 15 minutes, with Sergio Aguero (£12.7m) replacing the 19-year-old in the City attack. Jesus was already set to miss Gameweek 26, with City's derby match against Manchester United postponed due to the EFL Cup final. He faces the prospect of a spell on the sidelines that would seem certain to accelerate FPL sales. The striker had already been moved on by more than 41,000 of his owners prior to City's announcement. Having been sold by more than 225,000 FPL managers since Jesus made his first league appearance, Aguero could be set for a return to Pep Guardiola’s starting XI and to the plans of Fantasy bosses for the season run-in.